After we have eaten our lunch at Hong Kong Sheng Kee, we went sightseeing to help us digest our food. In the end, we stumbled upon an interesting place on the second floor (if I'm not mistaken) of Midvalley. Introducing Urban Adventure which is a store which sells what outdoor enthusiasts will need such as hiking boots and alpenstock. More interestingly, this store offers an opportunity for us to stretch and challenge our limits. Have you been here before? Safety harnesses were properly attached and secured. Actually this was not the first time we had been here. In fact we will come over here every single time to see how fast we could scale. To be more precise Jordan boy and Jasmine girl are the ones who will be testing their limits to scale faster. Welcome to Urban Playz folks where you get to do wall climbing. There are three different "walls" for you to climb. 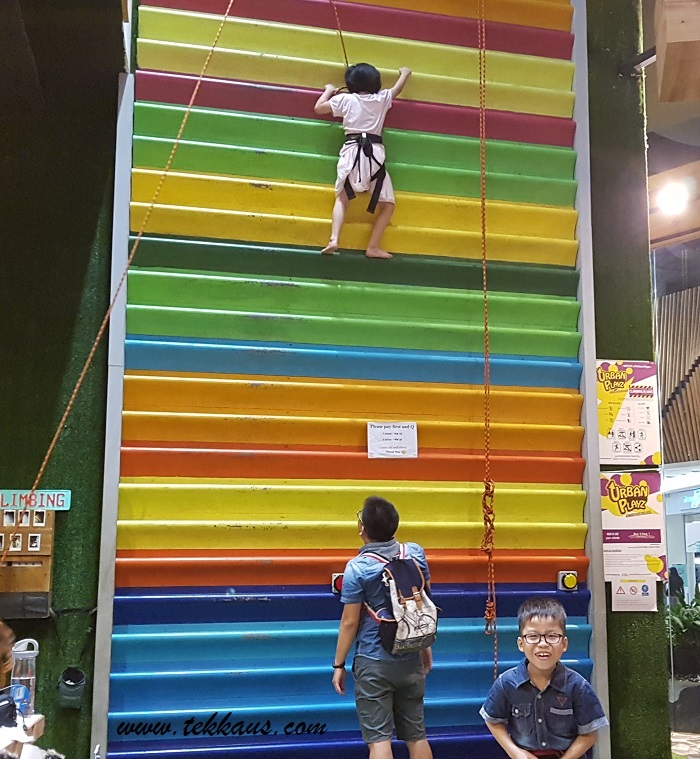 By paying RM20, you get to climb the walls for three attempts. 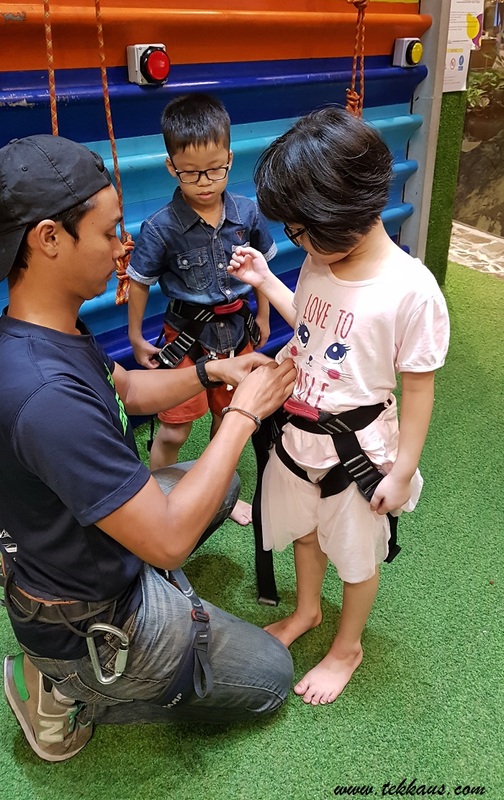 If you are totally new to wall climbing, fret not as there will be a qualified person to help you with your very first climb. 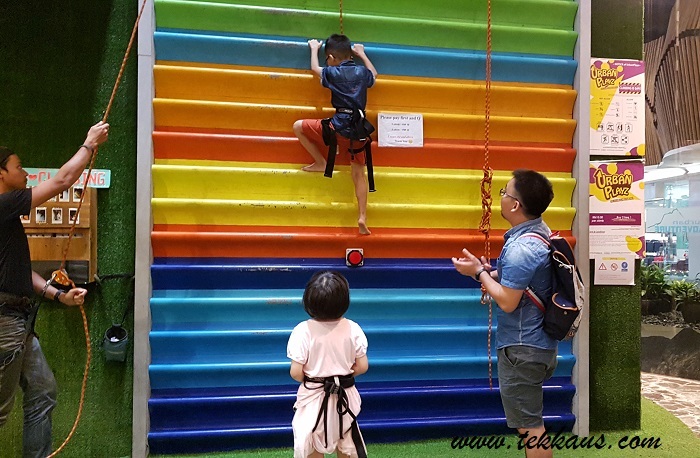 On top of that there will be also be safety harness to make sure that you are completely safe during your attempts to climb up the wall. 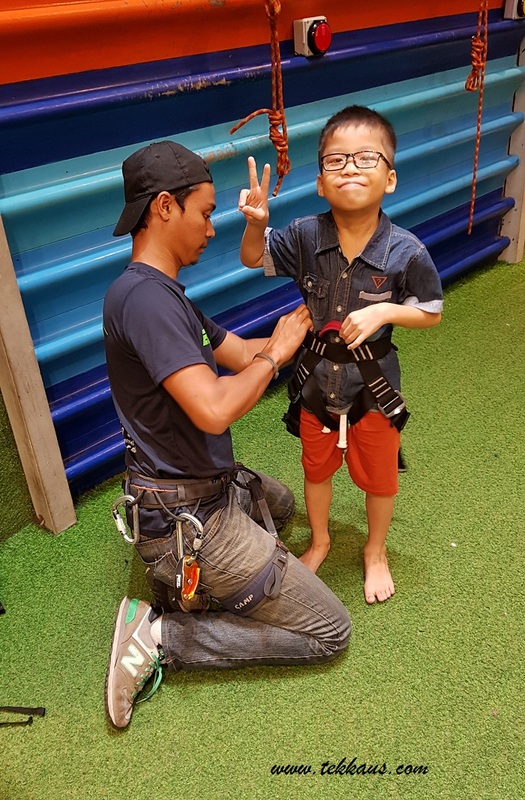 So while you are climbing the wall(s), the fit and strong assistant will be supporting you with the safety harnesses which have been attached onto the wall and himself. So you can happily (or nervously) ascend the wall, knowing that you are in safe hands. 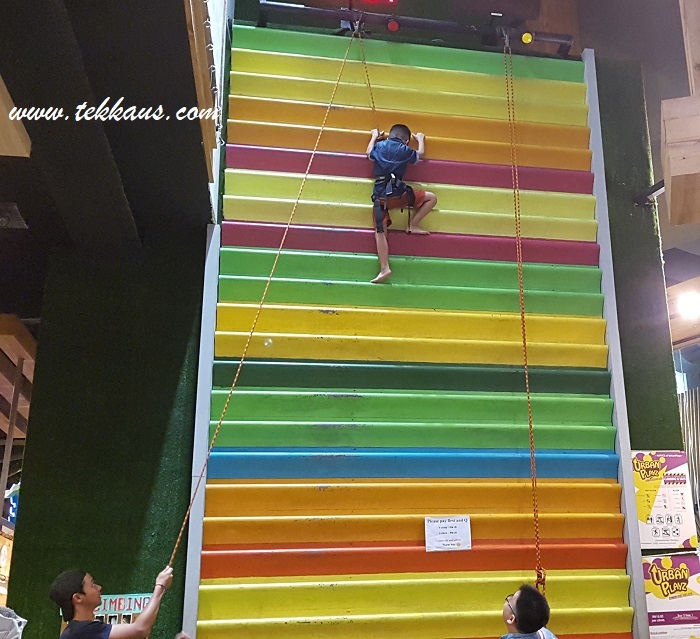 Jordan boy easily climb the wall without much hesitation! You are almost there Jordan boy! Honestly I am quite surprised with Jordan's bravery. 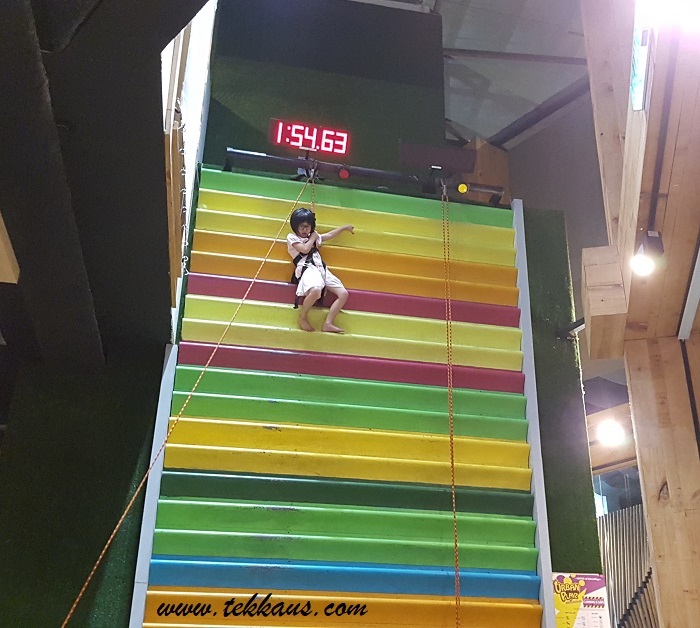 He is always the first person among us who raises his hand enthusiastically, wanting to conquer the walls. 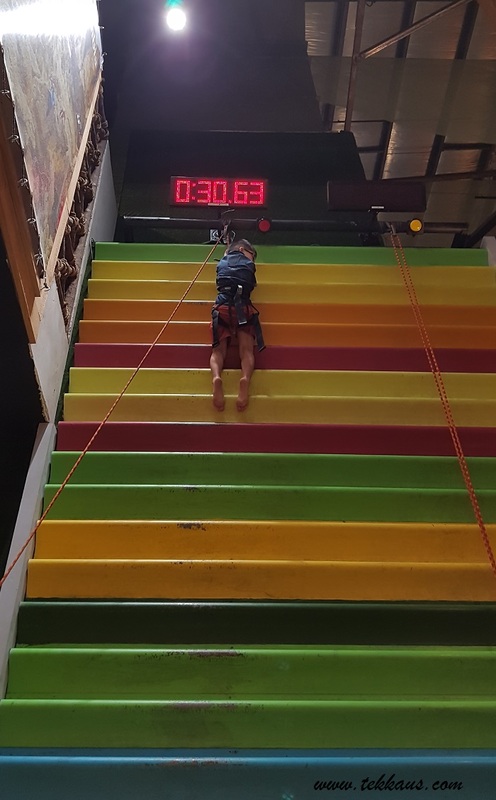 This was his third time climbing the wall and so I can say that he is quite accustomed to height. 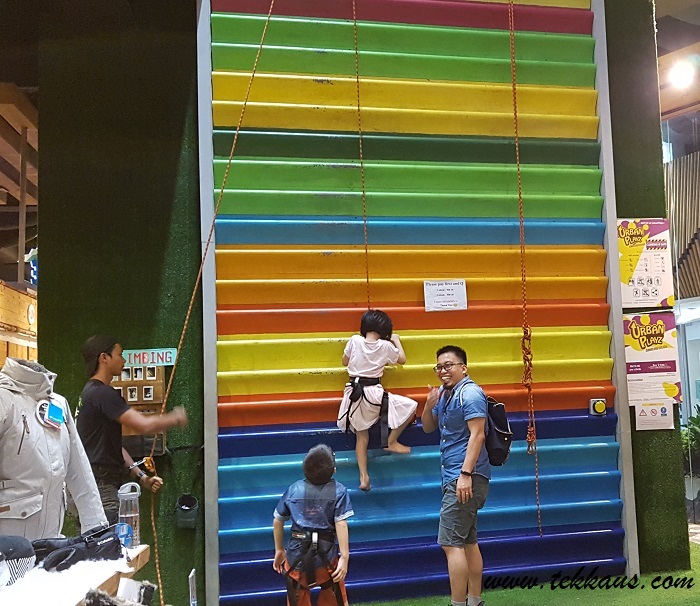 Jordan loves to climb this particular wall which is quite colourful as if it is a rainbow. This time around Jasmine also wanted to join her brother. 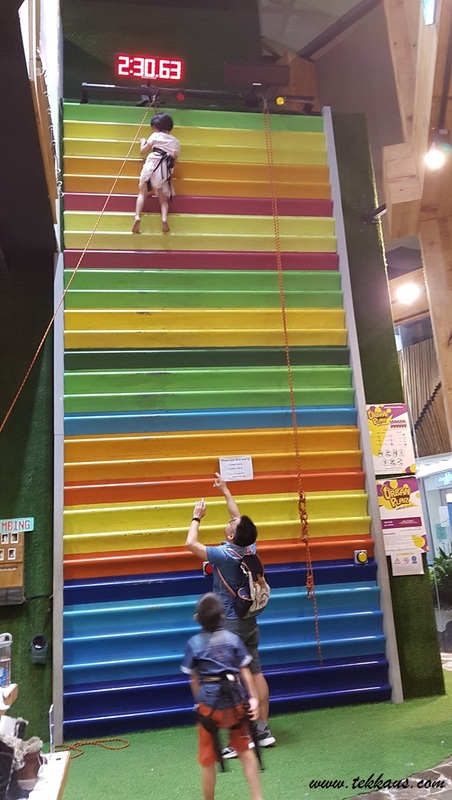 Hence I am calling Jordan and Jasmine the Rainbow Climbers! Will they be able conquer the Rainbow? Now is my Jasmine girl's turn. You can do it Jasmine. She almost gave up at this point as she could not balance herself. In the end, she steeled herself, did not give up and continued her climb. Though she completed it in 2 minutes 30 seconds, I am still very proud of her. Jasmine girl with her gritty climb!